Extra wrist support, no bending of the wrist. No cons been happy over a decade. 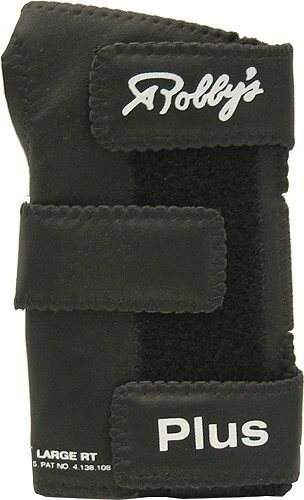 I'm loving Robbys Plus the front wrist and back support. I use the Robby glove twice a week, It hasn't failed me yet. I'm ready for a new glove, I'll try the full glove this go round. I stay MALAYSIA, how much shipping fees ? Once you have added the items you are interested in purchasing into your shopping cart, you can calculate the shipping in the cart. Due to the time it takes to produce the Robbys Leather Plus Right Hand ball it will ship in immediately. We cannot ship this ball outside the United States.